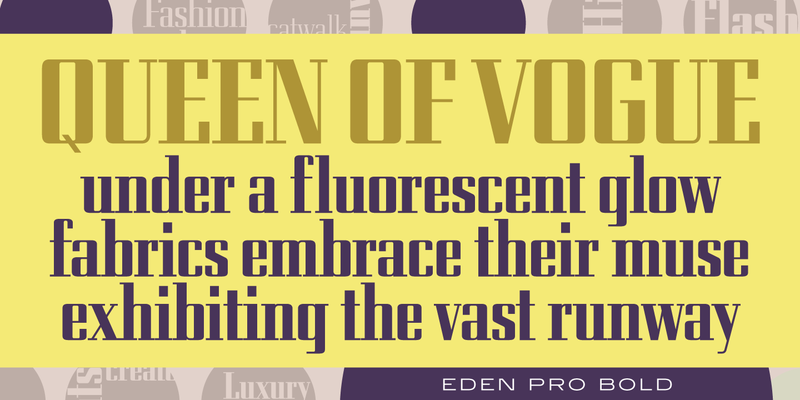 Eden Pro is a geometric serif family, exclusively licensed from the Ludlow Collection. It was created and produced by Steve Jackaman (ITF) and Ashley Muir in 2010, and was based on the original 1934 Ludlow drawings by Robert H. Middleton. 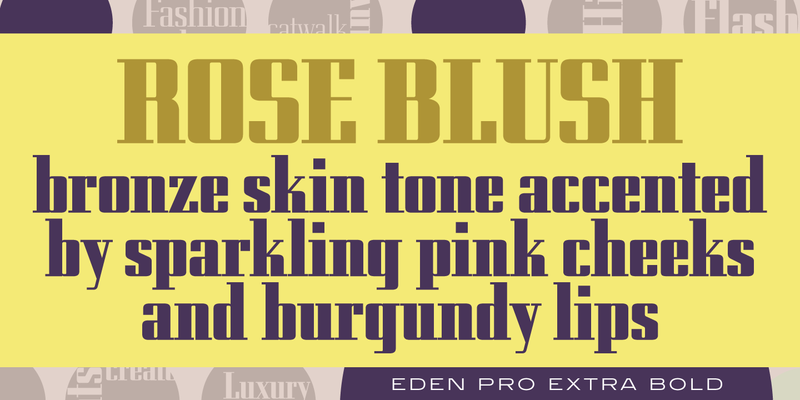 Jackaman and Muir redrew the family and created two additional weights to round it out. 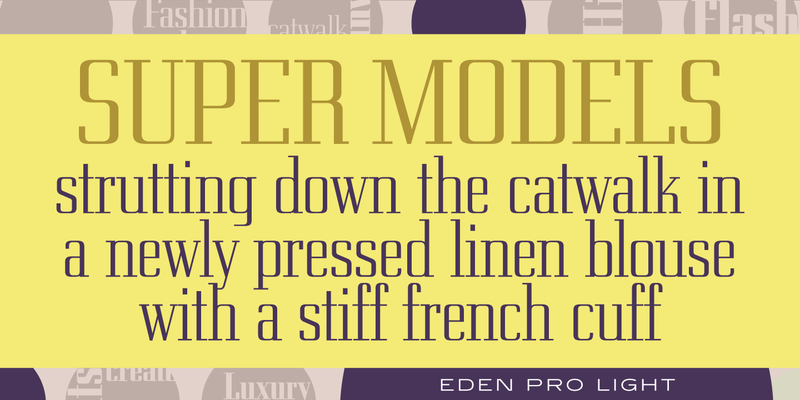 Eden Pro has a fashionable, modern look that is clean and legible at all sizes. 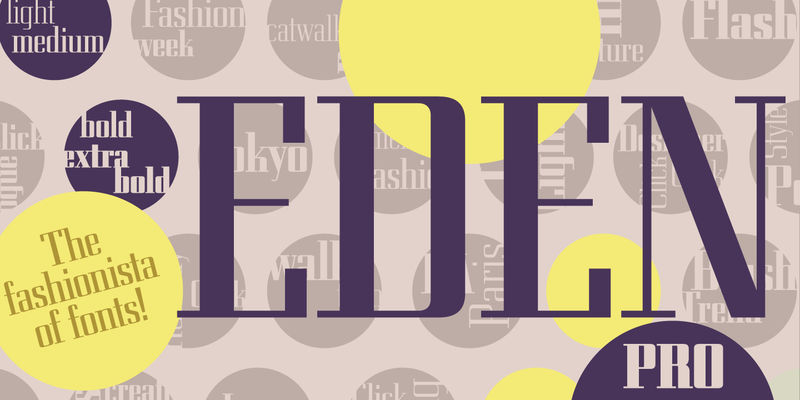 The new updated version supports Latin 1 and Central/Eastern European languages. 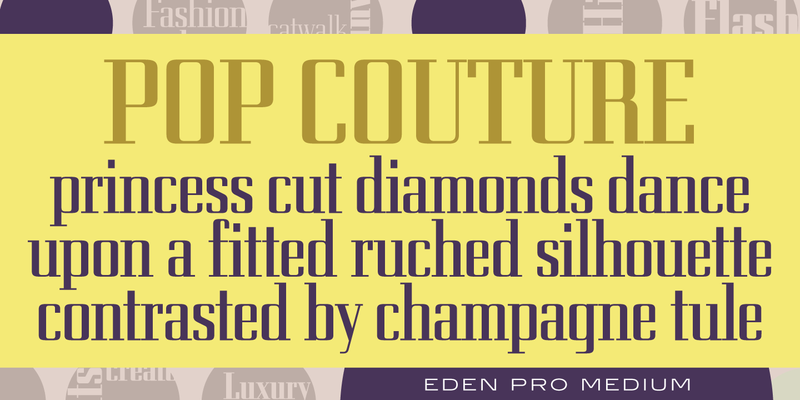 Eden Pro is a trademark of International TypeFounders, Inc.